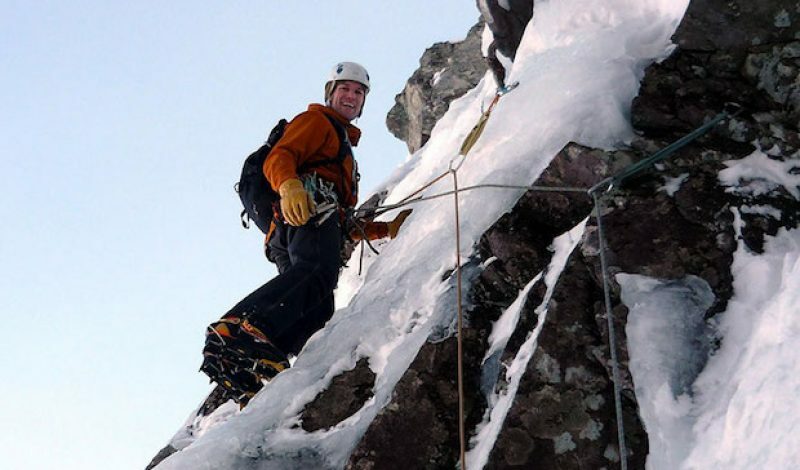 British mountain guide Mike Pescod discovered at a young age that he enjoyed being in the outdoors and exploring the world around him. That was further cemented into his psyche at the age of 17 when he cycled 1100 miles across Iceland along with a classmate and their geography teacher. Later, while attending university, his love for the outdoors only grew as he went on rock climbing, hiking, and kayaking trips with his mates. It was then that he first realized he wanted a career that allowed him to work outside and pursue his passion for adventure. He launched his career as a mountain guide back in 1993, and his job has taken him on expeditions to far-flung corners of the globe ever since. He’s gone climbing in the Caucasus, Tajikistan, Peru, and East Africa, to name just a few of the destinations. Mike currently lives in Fort William in Scotland, where he takes clients on mountaineering expeditions into the Highlands. Recently we caught up with Mike to find out what he is up to and what gear he relies on the most while climbing. Here’s what he had to say. Gear Institute: Hey Mike! What have you been up to these days? Do you have any big climbs planned? Mike Pescod: The first storms and snowfall of the winter are with us now and I’m trying to make sure I’m ready and strong enough for another Scottish winter season. There are a few climbs I’d like to do this year, but there’s no major rush. As long as I climb them before I die I’ll be happy. Winter climbing is quite often a waiting game, grabbing opportunities whenever they crop up. GI: That’s wise advice for climbers thinking about making a winter ascent. Patients is the key! When you head out on an expedition, what are some essential pieces of gear that you are glad to have with you? MP: Sealskinz waterproof socks are definitely essential for climbing in Scotland. If your feet are comfortable you perform so much better. It’s never any fun when your feet are wet and cold. New boots keep the wet out for a month or two but after that it’s mostly down to the socks. My Grivel Daisy Chain is pretty useful as well, especially in winter. With gloves on, untying knots in slings can be tricky especially when the temperature is just about freezing and wet snow is sticking to everything. With a daisy chain there are no knots to untie whether I use it for abseiling or for linking anchors on belays. A minute or two saved at every belay can be invaluable. On the wet days Showa 460 cold protection gloves are perfect too. They are the only gloves that keep my hands dry when I’m digging in wet snow or ice climbing in the rain. If they had a soft nose-wiping strip on the back of a thumb they would be perfect! I also feel like me boot drier is an essential piece of kit too, even though it stays at home while I’m out in the mountains. 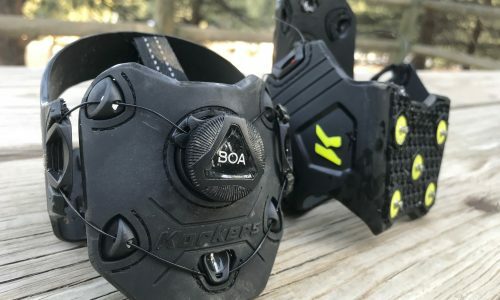 Knowing I will have dry boots every morning is revolutionary, and they are dried out in such a gentle way that does not damage the boots at all. GI: Okay, I’m sold! I think I need a boot drier too. 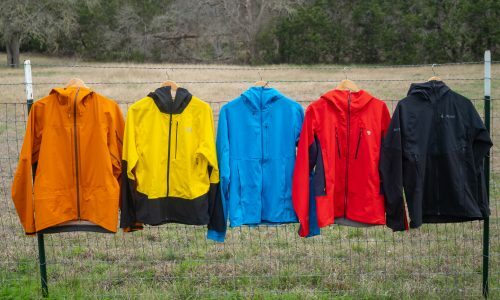 What are your favorite pieces of gear from your sponsors that you really like? MP: My primary sponsor is Jöttnar, a company that makes exceptional outdoor clothing for use in the mountains. For example, when it comes to cold weather climbing, their Alfar mid-layer is so good it comes with me every time. If it’s dry enough I’ll wear it on the outside, but it performs equally well under a shell too. It fits so well, and has such a perfect cut, that it never gets in the way. Best of all, its warm where you want it to be and covers up everything brilliantly. I wear my Vanir shell salopettes all winter long too. The weather is usually too horrible to change leg wear during the day so I wear my salopettes all day, every day. They are soft enough to be comfortable all the time, and they can repel everything that is thrown at me. Now I have the LT pant version for when the weather is a bit nicer and it comes in great colors as well. We all know that blue pants push your grade up at least a notch! To be completely honest though, I was a bit dubious about the Uller yak wool base that Jöttnar makes. It seemed like Yak wool might be a gimmick used just to try to jump in front of Smartwool in some way. But in practice, yak wool is very good stuff, which makes a lot of sense if you think about it. Yaks have to endure some pretty harsh conditions, and they have evolved the coat to keep themselves warm while out in the elements. The Uller is surprisingly comfortable to wear, and performs very well. And thankfully – unlike yaks – it does not smell bad. GI: Are there any special tips for packing your gear that you can share with our readers? MP: When I’m getting on a flight, I always take my helmet with me in my hand (carry-on) baggage. I have had far too many helmets cracked in my hold (checked) baggage to do that again. Similarly, having found my compass cracked and empty of damping fluid a few times when I’ve really needed it, I keep it in a homemade pouch made of sleeping mat foam and duct tape. Chain lube for my bike seems to work well on zips to keep them running smoothly too. 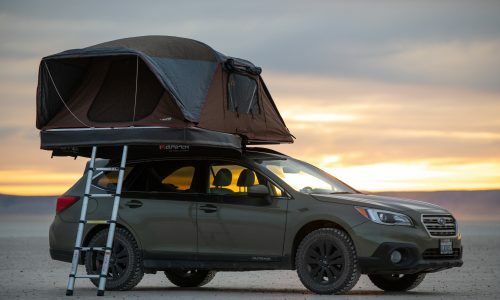 GI: What trend in outdoor adventure are you really excited about? MP: For once, it’s technology. I’ve been using the GPS on my phone, along with the Viewranger app, and I have to say that I’m quite impressed. Having a map, as well as my location, on the screen makes a smart phone GPS so much more useful. I don’t use it to follow a route, I still use the map information for that. But for tracking my route and for telling me my location it’s definitely very useful. When I get dropped off by helicopter on a mountain rescue call out, the first thing I do is reach for my phone to get my location. It can sometimes be far away from where I expected to be dropped off, so this is a good way to get my bearings. I’m also interested in apps that will record my location and transmit this information back home. Seems like a sensible precaution when I am out guiding. GI: Is there anything else you’d like to share before we let you go? MP: Just that as always, there is only so much your equipment can do for you. Fundamentally, it is the skills and experience that you’ve gained while using the gear that makes the difference. So true! Thanks for sharing your thoughts Mike, and good luck in the winter climbing season ahead.